First 4 Figures recently released a video showcasing a preview of an upcoming Crash Bandicoot statue that is planned for release sometime this year. 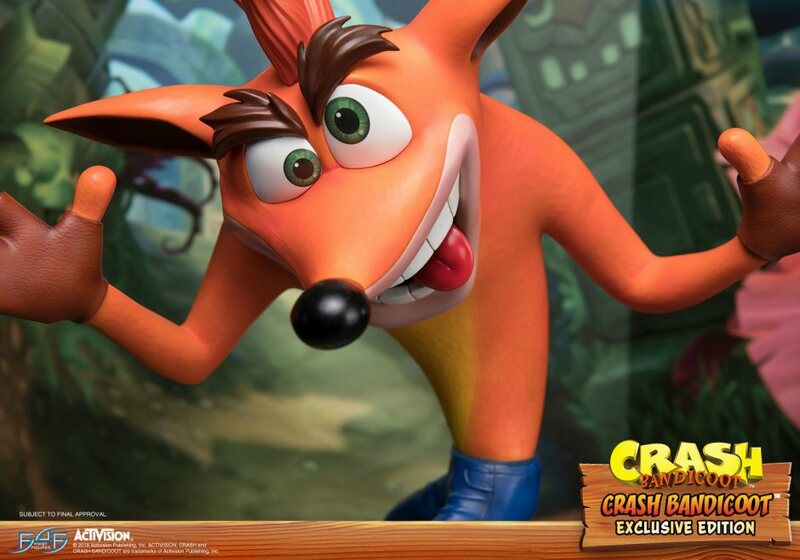 The pre-order for the Crash Bandicoot Statue is now available until April 6, with a “Last Chance Weekend” event happening on April 20-23. Check out First 4 Figures’ presentation of the statue in a video below. In other Crash Bandicoot news, it has now been confirmed during the last Nintendo Direct a few weeks ago that Crash Bandicoot N.Sane Trilogy, which was previously exclusive to the PlayStation, will be coming for the Nintendo Switch on July 10th. You can check out all the details of Nintendo’s presentation here. What do you think of the brand new, ultra-expensive Crash Bandicoot Statue by First 4 Figures? Share your thoughts in the comments below.